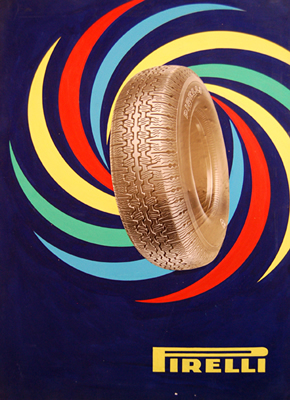 The first radial tyre developed for sports cars came out in 1952. Cinturato CA67 (or Cintura) was fitted the worlds best sports cars such as Ferrari, Maserati, Lancia, Alfa Romeo, Aston Martin & Lotus. Pirelli’s Cinturato CA67 is still made to the highest standards in a wide range of important classic car sizes. PIRELLI first introduced their CINTURATO ™ range of radial tyres in 1952, using the CA67 tread pattern. Within no time at all the CA67 CINTURATO ™ tyres were being fitted by the likes of Lancia, Alfa Romeo, Lotus, Maserati, Ferrari & Aston Martin.